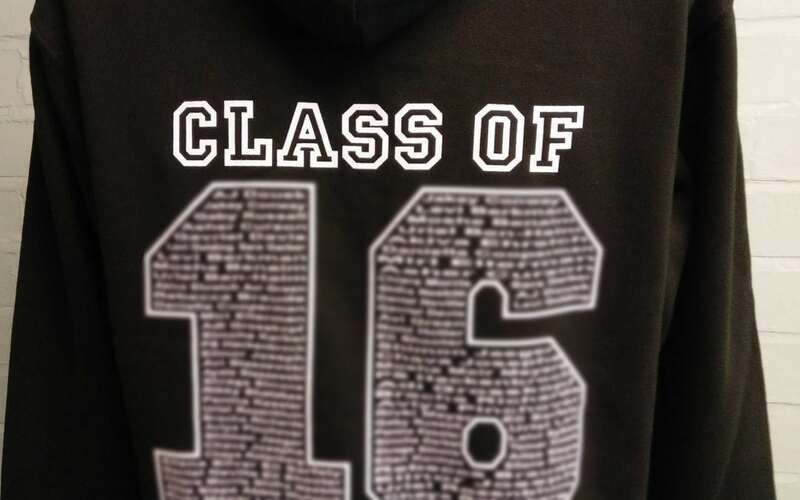 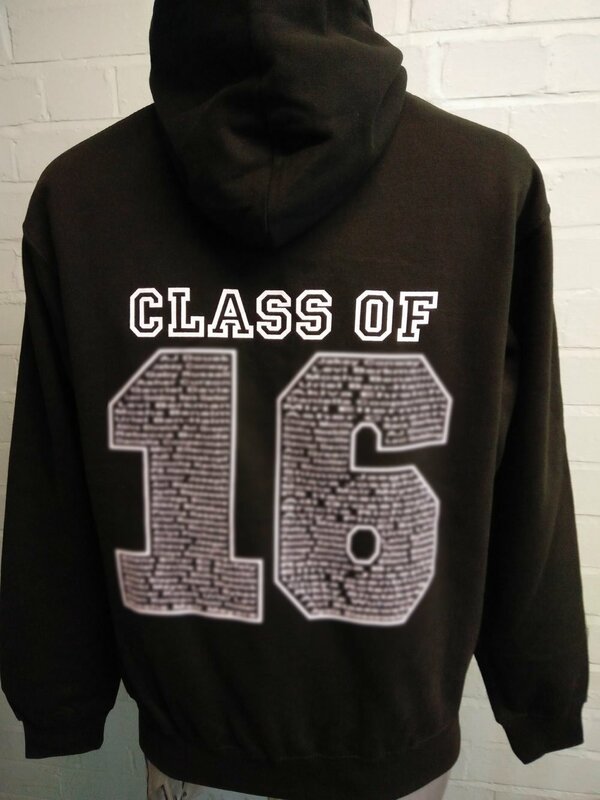 Excellent Slogan Leavers Hoodies for MFS Year 6 Class of 2016. 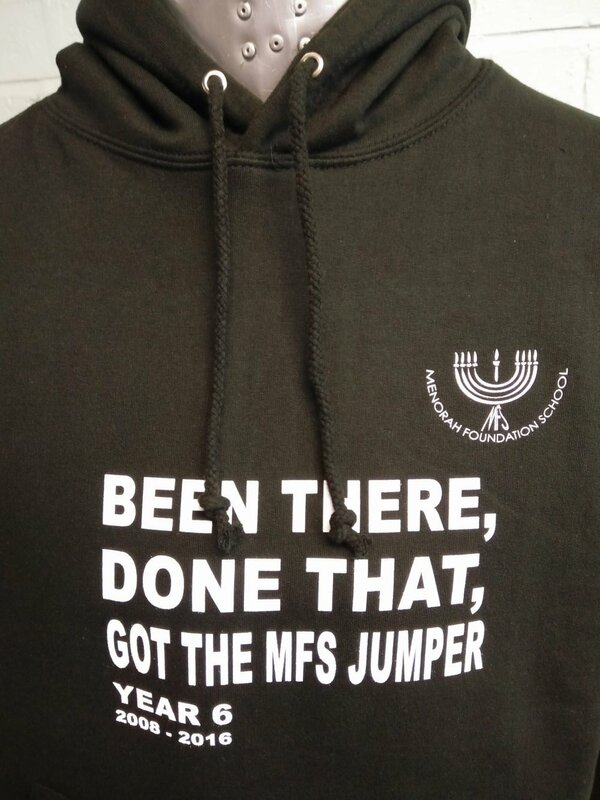 Hoodies are black with white print on the front and back with the slogan “Been there, done that, got the MFS jumper” printed onto the front. 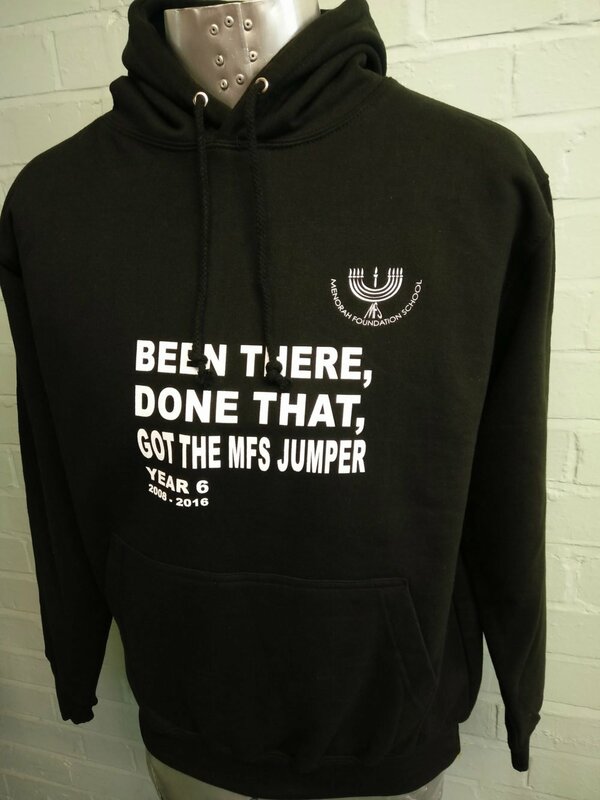 These look great for Menorah Foundation School with Leavers Names print on the back also.